iTunes is the best way to organize and enjoy the movies you already have on iPhone, iPad and Apple TV. If you have many Blu-ray discs, you can consider ripping Blu-ray to MP4/MOV/M4V for inputting to iTunes. By ripping Blu-ray to iTunes, you can stream Blu-ray movies on iPhone 7, iPad Pro, and on TV via Apple TV 4/5 without needing Blu-ray Player and the region codes of Blu-ray Player and Blu-ray discs. So let’s how to put Blu-ray movie library to iTunes below. To copy Blu-ray to iTunes with suitable format, you need a Blu-ray to iTunes converter. Pavtube ByteCopy is an ideal app for you to rip Blu-ray to iTunes(iTunes 11/12), iPad, iPod/iPod Touch, Apple TV, iPhone and more. Besides, it also can help you to convert Blu-ray, DVD to almost any other common video format such as VOB, FLV, WMV, AVI, MKV or backup the BD, DVD keeping the whole movie structure as you need. 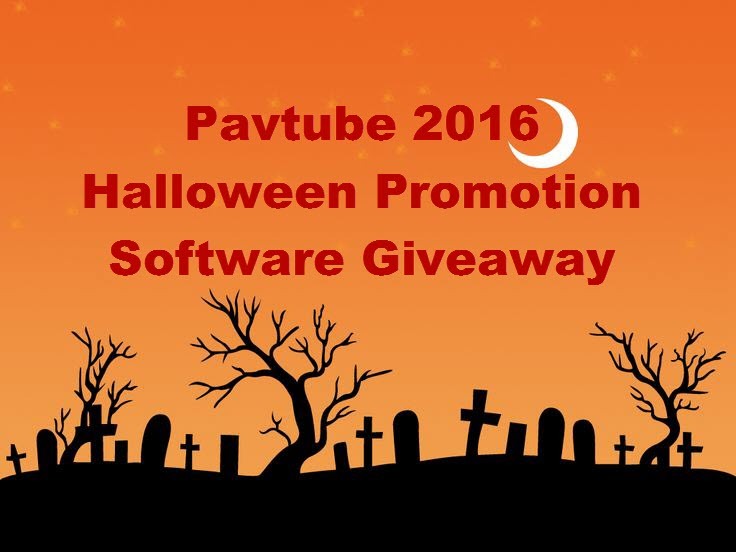 If you are running on Mac, please turn to Pavtube ByteCopy for Mac. – Rip Blu-ray to SD/HD MOV, MP4, M4V to iTunes. – Rip Blu-ray to iTunes in MP4/MOV with multiple subtitle and audio tracks. – Extract MP3 from Blu-ray to iTunes. How to Rip Blu-ray to iTunes? Insert your purchased Blu-ray disc into the disc drive, and run Mac Blu-ray ripper on your computer. Click “File” ＞ “Load from disc” to realize Blu-ray movie loading work. Batch conversion supported allows you import more than one Blu-ray movies to convert to MOV. Navigate to “Format’ > “Common Video” > “MOV – QuickTime(*.mov)”. 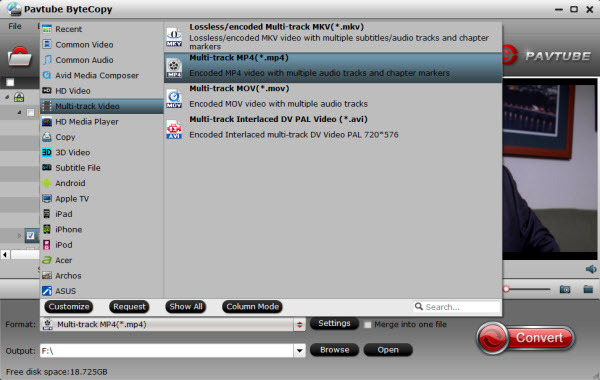 To play Blu-ray via iTunes, you also can choose multitrack MOV and multitrack MP4 from multi-track video profile. Tip: There are an array of tweaking options can be manually handled by clicking the Settings icon next to Format. You can make changes at this point such as video codec, aspect ratio or video size. Now we are ready for the ripping. Click the “Convert” button at the bottom-right of the screen to begin the Blu-ray to MOV for iTunes ripping process. A progress bar will display how far along you are in the process, and when the conversion is complete you will see the succeeded status displayed. Step 4. Select the file and click “Open”. After opening the file the will go to your iTunes and you can verify if the transfer has been successful by going to the iTunes library and typing the name of the file. If it is successfully transferred, A thumbnail of the video file will appear in your screen. If the transfer is successful you can further transfer the file to your iPod Touch, iPad Air 3, iPad Mini 4, iPhone 7, iPhone 7 Plus, Apple TV 5, Apple TV 4 and other portable devices and you can easily enjoy them everywhere you wish to.